Thunderstorms continued to mark its presence over Peninsular India with many parts of South Interior Karnataka recording good rains. Many parts of Bangalore recorded moderate to heavy rains once again yesterday evening making it a difficult commute back home. 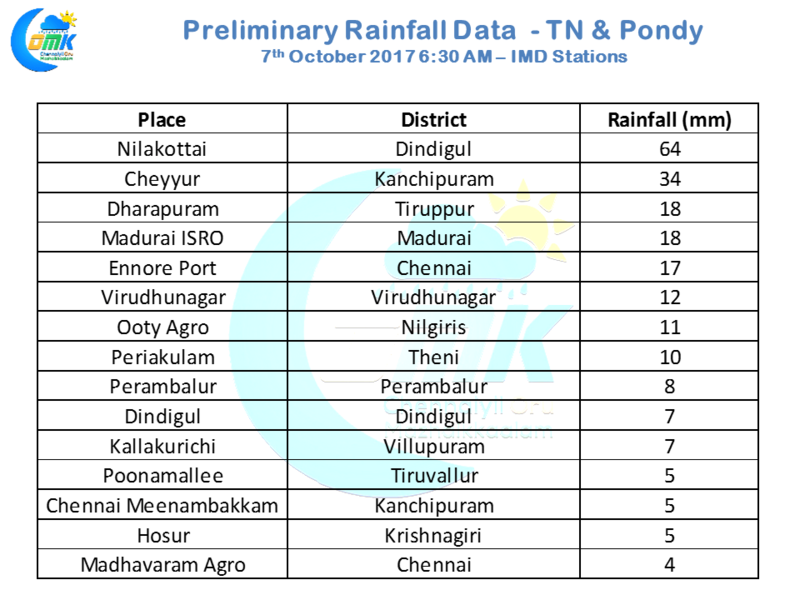 Rains in Tamil Nadu was not as widespread as the previous day though pockets in South TN like Dindigul, Madurai & Theni districts recorded good rains. Parts of Chennai recorded early morning rains today as well similar to Thursday with the pseudo Easterlies at mid level triggering the remnant moisture that moved in from the interiors. The prevailing Southerlies & Pseudo Easterlies do not help the situation in terms of getting a strong spell of rains for Chennai. The atmospheric instability due to the prevailing wind patterns is expected to stay slightly North compared to the past few days making it a relatively stable atmosphere over large parts of Tamil Nadu. This could play a role in how the thunderstorms shape in terms of spatial spread and intensity as well. But the best spells of thunderstorms are likely to happen over Karnataka & Rayalaseema region possibly. Similarly parts of Maharashtra could enjoy the thunderstorms from Easterlies as Southwest Monsoon gets ready to bid adieu to these parts of the countries int he coming week. As far as TN is concerned once again few areas in South TN closer to Western Ghats could get some moderate thunderstorms while isolated thunderstorms could happen in North TN but overall slightly more subdued conditions could prevail.